Hello girls! 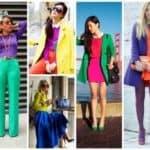 Fall is officially here and those of you who haven’t pick up their summer clothing, and pull of their fall clothes, it is time to do it. as the weather is getting colder, we want to dress warmer and more comfortable. And, as they say every outfit starts with the shoes. 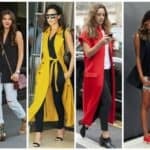 So, if you haven’t bring back your favorite boots, then it is time to do it, and to enrich your wardrobe with the essentials for the following fall/winter season. 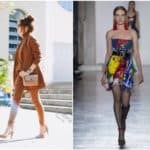 In the past few years, women get absolutely crazy about over the knee boots, and this trend is continuing in fall 2018 season too. 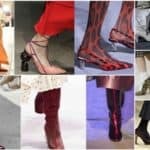 These stylish and modern boots become part of the most stylish and eye-catching outfits during the past seasons, and today we are giving you ten modern and sophisticated ways to wear over-the-knee boots this autumn. Over-the-knee boots best fits taller girls because they make their legs look even longer than they really are. They make you feel comfortable while wearing them, and they will make your body feel warm during cold days. Over-the-knee boots are the most stylish piece you can ever wear because they look perfect combined with absolutely everything. You can wear them with your favorite night dress, your plated knitted dress, maxi skirts, or you can combine them with jeans and pants. They look amazing combined with leather jacket or with long coat. They are just perfect. And, if you are luck of inspiration and outfit ideas, let us help you with some suggestion on how to combine over-the-knee boots at the most stylish way.